By Adrienne Rivera. Apr 10, 2016. 9:00 AM. F. Scott Fitzgerald's The Great Gatsby gives us one of the most illustrious characters in fiction, Jay Gatsby. Narrated by character Nick Carroway, the novel explores issues of class, decadence, and obsession in the jazz-soaked Roaring Twenties. Since its publication in 1925, The Great Gatsby has sold over twenty-five million copies. It has been adapted into plays, ballets, an opera, a radio show, and seven movies, most notably the 2013 Baz Lurhman film starring Leonardo DiCaprio, Tobey MacGuire, and Carey Mulligan. Francis Cugat's iconic blue cover art can be found on t-shirts, mugs, and tote bags. The novel is found on syllabi in high schools and colleges alike and is frequently explored by scholars and academics. The Great Gatsby is considered by many to be the author's greatest contribution to literature, and it is widely believed to be the quintessential Great American Novel. However, when it was first published, The Great Gatsby was a flop. Fitzgerald had quite a bit riding on the success of this novel, hoping that it would prove his merit as a writer and also give him the money he desperately needed to pay off the debts he incurred from trying to provide his wife Zelda—herself a socialite much like Daisy Buchannan—with the life she was accustomed to before their marriage. Unfortunately, the book did neither of those things. Critics panned the book as frivolous and unimpressive, and while the first run of the book did eventually sell and a second three thousand book run was ordered, the book sold very slowly. 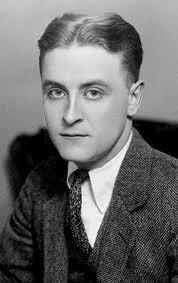 At the time of his death in 1940, Fitzgerald believed himself and his book were failures. Yet there were early supporters of the book in spite of it's initial critical dismissal. Several of Fitzgerald's friends and associates read the book after he gifted them inscribed copies of the novel and offered their opinions and praises via letter. Gertrude Stein was one of the writers who offered Fitzgerald her opinion. Stein, an American expatriate who lived in Paris, was an occasional subject of Pablo Picasso and is known for her experimental poems and novels, most notably, Tender Buttons, The Autobiography of Alice B. Toklas, and Three Lives. She wrote, thanking Fitzgerald for the “genuine pleasure” that was the book, and said that he had seemingly grown into a different and older type of writer since his publication of This Side of Paradise, which she deemed only alright. She told Fitzgerald he had a natural way of writing, and he had created a contemporary and modern world. The most brilliant praise however came from T.S. Eliot, who in the span of only a few days read the book three times over. He called it a remarkable and brilliant book, saying that it excited him more than any novel he had read in years and that it was the biggest step forward in American fiction since he read Henry James. Eliot is best known for his poems “The Waste Land” and “The Love Song of J. Alfred Prufrock”, his nonfiction, and his collected correspondences.